We seek God’s grace in all things. Grateful – by serving God and God’s kindom with celebration and thanksgiving. Kindom is our new PC(USA) language for relationship and community orientation rather than the individual focus of kingdom. We embrace God’s place in all relationships. Redeemed – we reflect and respond to our Lord Jesus Christ who rose from death and destroyed the power of death giving new life to thrive. This is our joy to share. Attend – we will attend to and listen to the various voices and opinions of the Church respecting the dignity and diversity of the Body of Christ near and far. Community – our fellowship of G.R.A.C.E. is a beloved community of seekers and saints from all walks of live who enjoy and collaborate in time together in worship, mission, spiritual formation, and in fun. Engage – called to be disciples of Jesus Christ we stand in scripture and with our larger community. Praising God and loving our neighbor we engage in mission and ministry by the power of God’s word with energy, enthusiasm, and creativity. May the Grace of our Lord Jesus be with you! We are a brand-new church with a 200 year history with the PC(USA). Our church family has experienced loss and grief, yet we are delighted to know the Grace of God alive in our midst. At Plum Creek we balance differences in opinion by respecting the God given dignity of all. We intentionally see each other as a beloved child of God locally and around the world. Jane has served PC(USA) ministries since 1985 when she and spouse Rev. Dr. David Esterline were commissioned as mission co-workers. Together they served the seminary and community gathered at the Presbyterian Theological College, Kumba, Cameroon in West Africa (3 years) and the Pacific Theological College in Suva, Fiji Islands (7 years). Jane and David returned to the States where David joined the faculty at McCormick Theological Seminary in Chicago, IL. Jane graduated with her M.Div. from North Park Seminary, Chicago. She is a pastor, friend, gardener, quilter, and avid reader among many other things. Sharing the creative love of Jesus Christ, the beloved glory of God and joy of the Holy Spirit through the fellowship of God’s Church is her passion. Kathy has worked at Plum Creek since January of 2001, though she has been an active part of the church her whole life. Kathy is the full-time Business Administrator. As the church Administrative Assistant Kathy helps the church prepare for worship services, oversees communications like the newsletter and email blasts, supports the many committees of the church. As the Financial Secretary Kathy supports the session treasurer in record keeping and organization. Kathy and the Rev. Jim Kirk, Pastor of Valencia Presbyterian Church, seek to go wherever the Lord is leading them and are delighted to serve both Plum Creek and Valencia in different ways. Faith has been serving Plum Creek since November of 2018. Prior to that, she worked at Crestfield Camp & Conference Center for 6 years filling various roles ranging from summer Cabin Counselor to year-round Program Assistant. Growing up and working at Crestfield, Faith cultivated a love for camping and outdoor ministry. While serving as a ConFluence Intern at Crestfield, Faith was partnered with churches in the Pittsburgh Presbytery and began to explore working in church ministry as well. She is excited to combine her love of the church and camping into her position at Plum Creek. As Director of Christian education Faith is eager to grow in relationship with the children, families, and members of the church, and as Director of Day Camp Faith is looking forward to connecting with the community to provide adventure experiences in Plum. We welcome God’s beloved children, of all ages, in worship. Our service welcomes the voices of families in all shapes and sizes. Jesus said, “Let the little children come,” and we take that mission very seriously, and enthusiastically. There will be a children’s message each Sunday so kids can jump into scripture and feel their belonging. Nursery care is available for younger children if parents would prefer. Click here to learn more about the services we offer for Children at Plum Creek Presbyterian Church. 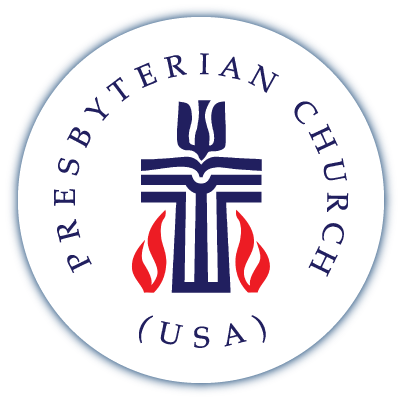 The Presbyterian Church of Plum Creek has a long history of being blessed by God. In 1791, a group of worshippers known as Ebenezer on the Pukaty gathered weekly within, at the time, Redstone Presbytery. They later changed the church name to Plum Creek Presbyterian Church in 1802. The congregation worshipped in a tent until 1810 and later erected a log building. The first location for the church was at the corner of Route 380 and New Texas Road. The first called pastor was Rev. Francis Laird who served from 1800 to 1831. During the Civil War the Plum Creek congregation took a stand and supported the abolition movement. The church moved to its current site on Center New Texas Road in 1868 with the building of the first floor of a planned 2-story building. The 2nd floor sanctuary was completed in 1879. Plum Creek's current facility was completed in 2 parts. The education wing was completed in 1963 and the sanctuary we use today was built in 1974. Plum Creek has seen many changes over its 200+ years of history. We have always been active in our community which is evidenced by the mission work done locally. Early in the 20th century, we had a Sunday School outreach in the Center area of the borough and we established a mission church in Renton. While, early in the 21st century, we continue to reach out to our community - one notable way we have done this is through the vision and development of the Day Camp at Plum Creek (a summer adventure camp for elementary aged children). We ask your blessing, dear Lord, upon our friends as they move to another fellowship. Bless their lives. Bless their new church. Bless their work and play. Through all the changes, surround them with your loving presence. We know that in you there is no east or west, no south or north. Thank you Lord Jesus for your Church. Amen. Changed, but sincere and authentic. The sacrament of Baptism is God’s sign of sealing the promises of faith. The Living Water often mentioned in Scripture is represented in the warm waters of Baptisms. Water cleanses, water nourishes, water renews, water quenches thirst, water brings life and growth. Therefore, Baptisms are part of worship and are offered when the community worships together. Baptism is a participation in the death of Jesus Christ and his resurrection. As we feel the waters over our head, so we enter the death of Jesus; as we rise out of the water we die to what separates us from God and are raised to newness of life in Christ. Baptism will continually point us back to the grace of God. As Moses and the Israelites passed through the parted waters on dry ground and escaped slavery, so too do we pass through the water to the other side to find safe ground with Jesus. The community of Israel undertook a life of service to God and exclusive worship as a community, sharing life in which love, justice, and mercy abounded. Baptism points us toward living in Christ who leads us to fulfill God’s promises. At Plum Creek the session approves all requests for baptism and the parents or baptismal candidate will meet with the pastor to discuss the significance of baptism. We, the members of this church, will joyfully affirm our responsibility to teach and nurture faith in Jesus as our special part in the baptismal ceremony. The sacrament of Baptism belongs to God. For children it illustrates how God’s love sets a claim for us even before we are able to respond in faith. The sacrament of Baptism in adults witnesses to the truth that God’s call continues inviting a response from those seeking faithfulness. The sacrament of the Lord’s Supper is celebrated the first Sunday of each month. All are welcome to come taste and see that the Lord is good. As Jesus took 5 loaves of bread and 2 fish and blessed them so they fed over 5000 surprised people (plus 12 baskets of leftovers!) so too do we believe in the presence of God’s blessings, surprises, and gifts in the Lord’s Supper. So come, not because you must but because you may. Come, not because you are strong, but because you are weak. Come, not because of your own goodness, but because the Lord is Good, Kind, and Gracious. Our amazing God touches ordinary lives and sets a holy Table among us. Our loving God fills our plates with the Bread of Life, and our cups with His Salvation. The steadfast love of the Lord endures forever and is evidenced in the Lord’s Supper!